Rimini, Montana – Every day many millions of gallons of water loaded with arsenic, lead and other toxic metals flow from some of the most contaminated mining sites in the U.S. and into surrounding streams and ponds without being treated, The Associated Press has found. The records show that at average flows, more than 50 million gallons of contaminated wastewater streams daily from the sites. In many cases, it runs untreated into nearby groundwater, rivers and ponds — a roughly 20-million-gallon daily dose of pollution that could fill more than 2,000 tanker trucks. In eastern Oklahoma’s Tar Creek mining district, waterways are devoid of life and elevated lead levels persist in the blood of children despite a two-decade effort to clean up lead and zinc mines. More than $300 million has been committed since 1983, but only a small fraction of the impacted land has been reclaimed and contaminated water continues to flow. 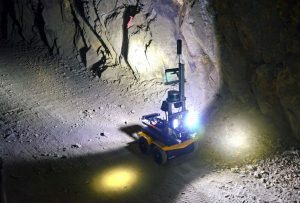 At northern California’s Iron Mountain Mine, cleanup teams battle to contain highly acidic water that percolates through a former copper and zinc mine and drains into a Sacramento River tributary. 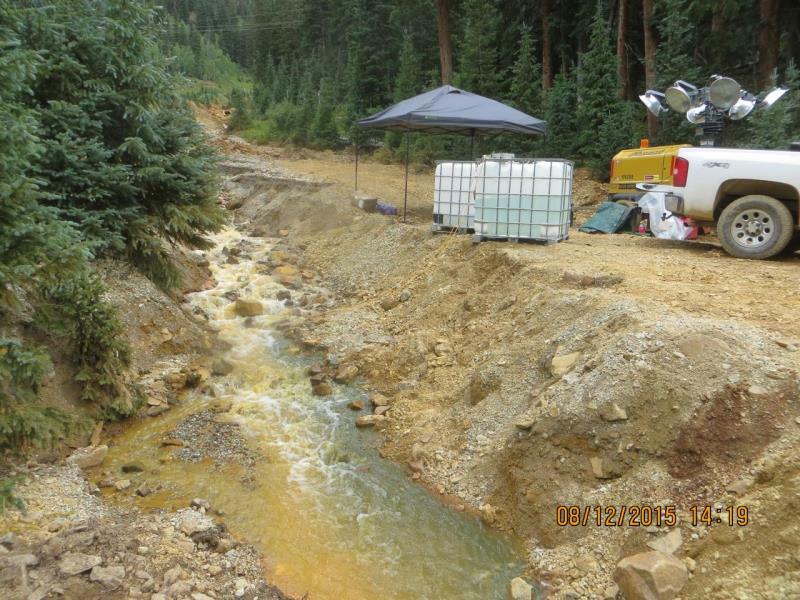 The mine discharged six tons of toxic sludge daily before an EPA cleanup. Authorities now spend $5 million a year to remove poisonous sludge that had caused massive fish kills, and they expect to keep at it forever. 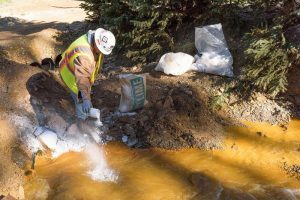 In Colorado’s San Juan Mountains, site of the Gold King blowout, some 400 abandoned or inactive mine sites contribute an estimated 15 million gallons (57 million liters) of acid mine drainage per day. Titanium Trucking Services Inc., headquartered in Ontario, was recently convicted of one violation under the Ontario Environmental Protection Act and was fined $250,000 plus a victim fine surcharge of $62,500 and was given 24 months to pay the fine. 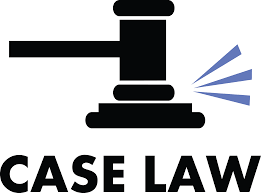 The fine was the result of a hazmat incident in which a fluorosilicic acid spilled from a tanker truck into the natural environment, which caused adverse effects. Fluorosilicic acid is corrosive and causes burns. It decomposes when heated, with possible emanation of toxic hydrofluoric acid vapours. It is used in fluoridating water and in aluminum production. In the aquatic environment, an accidental spillage of fluorosilic acid would suddenly reduce pH level due to the product’s acidic properties. At the time of the offence, Titanium Trucking Services Inc., which is located in Bolton (just northwest of Toronto) had a contract with a Burlington, Ontario area chemical company to provide drivers and vehicles on a dedicated basis for chemical product transportation. In January 2017, the Burlington area chemical company placed an order for 81,000 kg of 37-42% fluorosilicic acid, which was required for pickup in Montreal for transport to Burlington. Fluorosilicic acid is a corrosive liquid, classified as a dangerous good. On the date of the planned chemical pick-up, Environment Canada had issued weather advisories relating to a major winter storm and the public was instructed to consider postponing non-essential travel. 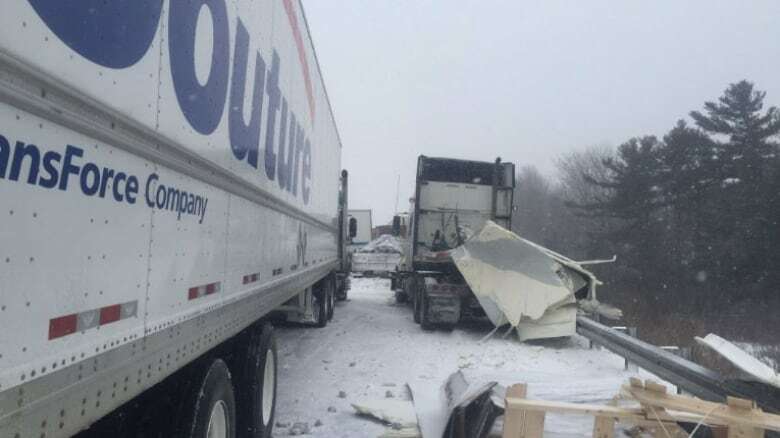 The chemical pick-up occurred as planned on March 14, 2017, and within four hours after leaving Montreal, the truck and the driver were involved in a multi-vehicle collision while traveling westbound on Highway 401. As a result of the collision 15 totes of fluorosilicic acid ejected through the front wall of the trailer and also came to rest in the roadside ditch. Eight of the totes of acid that ejected from the trailer were punctured and spilled approximately 8,000 litres of acid into the ditch and onto the truck cab, dousing the driver, which eventually resulted in his death later in hospital. The acid discharge caused further adverse effects. a total of 13 First responders and another sixteen members of the public had to be decontaminated, the 401 highway was closed in both directions, and the OPP officer who initially attempted to extract the truck driver from the cab on scene experienced significant health effects. In addition, adverse impacts to the roadside soil ecosystem occurred. 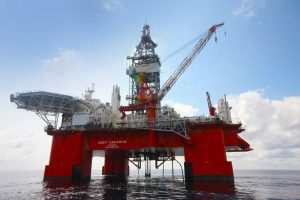 BP Canada Energy Group recently reported an unauthorized discharge of drilling mud from the one of its drilling operations off the coast of Nova Scotia. The company estimated approximately 136,000 litres of drilling mud were discharged. 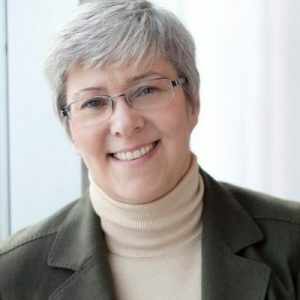 Anita Perry, BP Canada’s regional manager for Nova Scotia, said a preliminary look at the spill has led the company to believe the cause is mechanical failure, though the investigation is not complete. Perry said this is not a common occurrence, but the organization has response plans in place to manage spills. She said that before drilling was done in the area, a survey was conducted to assess environmental risks. “Prior to drilling we did not identify any corals or any species there that could be damaged. So we do not believe there will be any damage,” said Perry. The company suspended drilling during the investigation of the cause of the spill. Stacy O’Rourke, the director of communications at the Canada-Nova Scotia Offshore Petroleum Board (CNSOPB) said the synthetic-based mud is dense and sinks rapidly to the sea floor and the synthetic-based oil in the mud has low toxicity. Ms. O’Rourke added that the effects of these types of spills are usually limited to the area immediately surrounding the well and are associated with the physical smothering of the seabed due to coverage by the mud. She said the spill happened earlier in the day on Friday, and both the board and coast guard were notified. As of Friday evening, O’Rourke said no one on the board was at the spill. The incident occurred approximately 330 kilometres from Halifax on a drill rig called the West Aquarius. 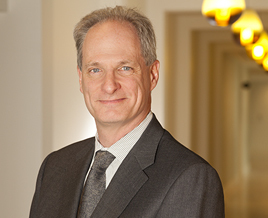 CBC interviewed Tony Walker, a professor from the Dalhousie University School for Resource and Environmental Studies, about the potential impacts of the release of drilling mud on the environment. The Professor said that in looking at the project’s environmental assessment report, carried out by the Canadian Environmental Assessment Agency (CEAA), the drilling mud spill may still be cause for concern. Professor Walker said while a water-based mud is available for use in this type of drilling, the assessment outlines BP’s decision to use the synthetic, because it can better handle potential gas buildup and temperature regulation. “Certainly, a synthetic-based mud does contain chemicals and potentially oils and diesel and that sort of thing,” he told the CBC. Walker said he reviewed data from the report based on a 3D modelled test and scaled down the impacts based on the June 22 incident. 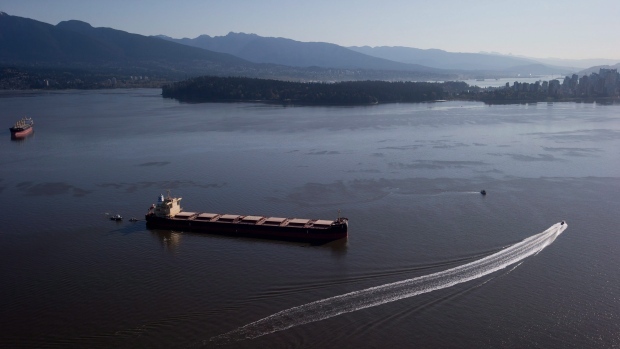 Professor Walker told the CBC that the CEAA report also references data from past drill sites, where little to no spilling was reported, in which surrounding marine habitats took up to five years to recover from drilling. 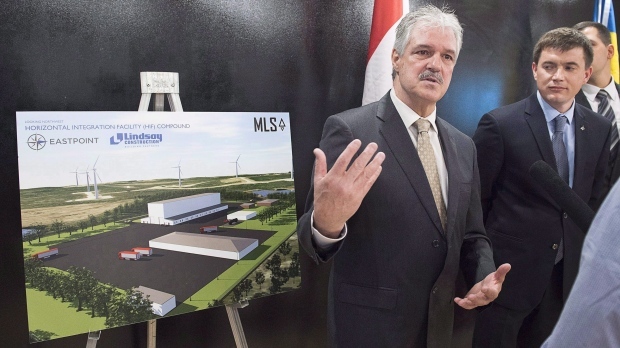 “The kind of consistent thread or theme I get from the report … is that if there are releases, it’ll be localized and it’ll have short term impacts,” Walker told the CBC. Nova Scotia’s energy minister says he’s concerned about spill of the drilling fluids off the province’s coast. However, he also added that he remains committed to growing the oil and gas industry. Geoff MacLellan said he has “complete confidence” in the Canada-Nova Scotia Offshore Petroleum Board’s investigation into BP Canada’s leak of 136 cubic metres of synthetic drilling mud on Friday. BP Canada Energy Group was given approval in the spring of 2018 to drill of the coast of Nova Scotia. At the time, the Aspy D-11 exploration well was the first in BP Canada’s Scotian Basin Exploration Project. It was estimated that up to seven exploration wells could be drilled off the southeast coast of Nova Scotia over a three-year period. The company ISPAS AS, headquartered in Norway, recently announced that it has developed a Ku-band polarimetric Oil Spill Detection (OSD) radar that can detect oil spills at sea and the open water under most conditions including dead calm. The radar is specifically developed for this purpose and uses a higher frequency than typical navigational X-band radars. The radar has electrically steered antennas with both electromagnetic polarizations and can map an oil spill continuously using the steerable antenna. Radar image (left) of the oil spill (seen on right). ISPAS has completed the installation of 4 new OSD radars. The radars small size and weight makes it easy to integrate without large structural foundations. ISPAS participated in the 2018 “Oil on water” exercise offshore of Norway recently with a small version of the polarimetric Ku-band OSD radar. The small radar performed exceptionally well. An example showing the real time display of radar measurements of oil on seawater onboard a vessel is presented in this picture. The picture to the right presents the actual view of the sea. The U.S. Environmental Protection Agency (U.S. EPA) continues its response to Hurricanes Maria and Irma in close coordination with federal, commonwealth, territory, and local partners. EPA remains focused on environmental impacts and potential threats to human health as well as the safety of those in the affected areas. EPA is supporting Puerto Rico, the U.S. Virgin Islands and the U.S. Coast Guard in marine vessel recovery work. Teams continue to locate, assess and retrieve sunken, damaged and derelict vessels around Puerto Rico and the USVI. We are also assisting with the recycling and disposal of recovered oil and hazardous materials from the vessels. The U.S. EPA’s support role includes recording the vessel’s location and collecting information such as the name of the vessel and identification number, condition, impact to surrounding areas and/or sensitive/protected habitats (e.g. mangroves, coral reefs) for future recovery missions and owner notifications. A higher priority is placed on vessels found to be actively leaking fuel or hazardous materials, where containment and absorbent booms are placed to decrease contamination. 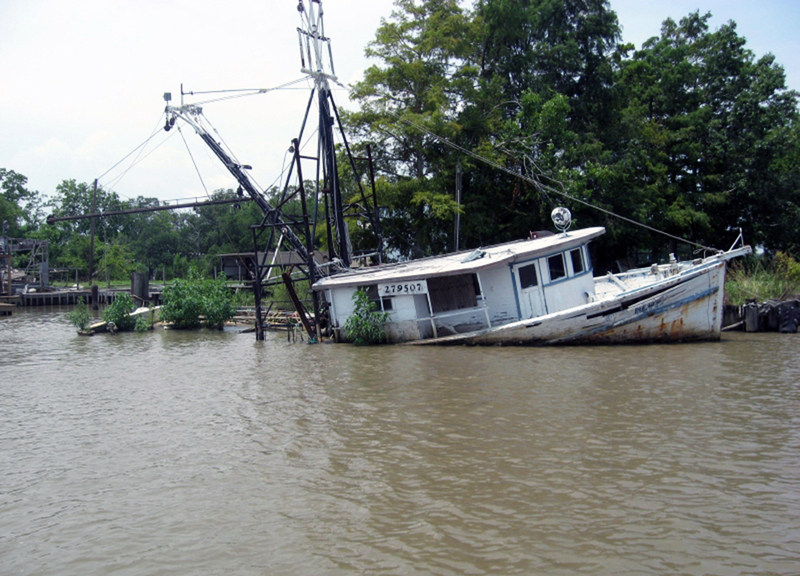 Once the damaged vessels are brought to shore, or are processed on a staging barge, EPA will be handling various hazardous materials for recycling and disposal, including petroleum products (oil, gas or diesel fuel), batteries, and e-waste, which can harm the environment if they’re not removed from the waters. EPA will also recycle or dispose of any “household hazardous wastes”, such as cleaners, paints or solvents and appliances from the vessels. It is important to properly dispose of these items to prevent contamination to the aquatic ecosystem. Vessels are being tagged by assessment teams with a sticker requesting that owners contact the U.S. Coast Guard to either report their vessel’s removal, or to request U.S. Coast Guard assistance in its removal. There is no cost, penalty or fine associated with the removal of the vessels. The effects of an spills from marine vessels will depend on a variety of factors including, the quantity and type of liquid (i.e., fuel, oil) spilled, and how it interacts with the marine environment. Prevailing weather conditions will also influence the liquid’s physical characteristics and its behaviour. Other key factors include the biological and ecological attributes of the area; the ecological significance of key species and their sensitivity to pollution as well as the time of year. It is important to remember that the clean-up techniques selected will also have a bearing on the environmental effects of a spill.